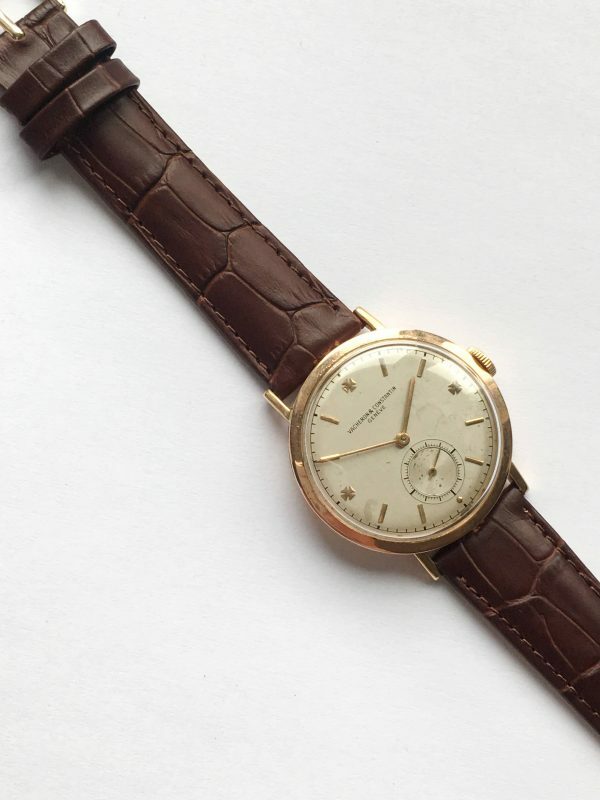 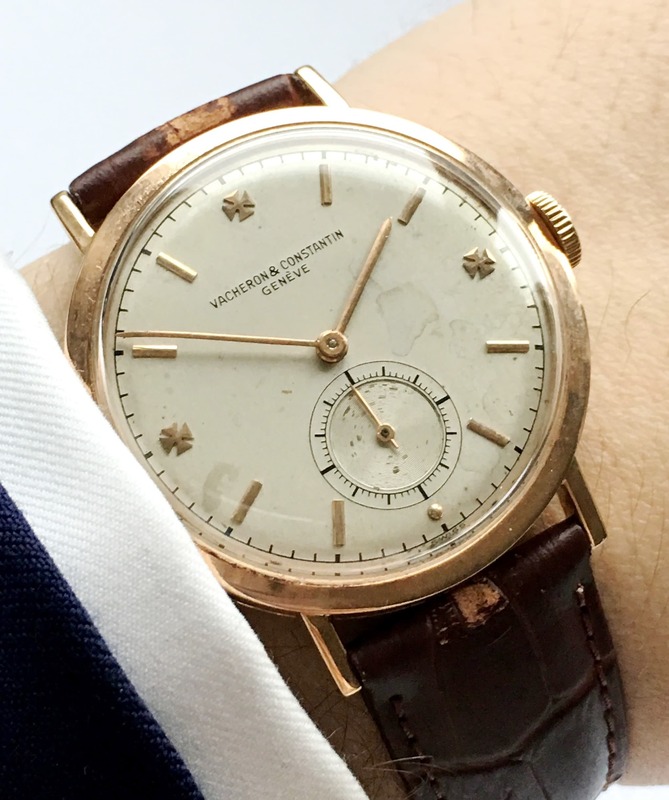 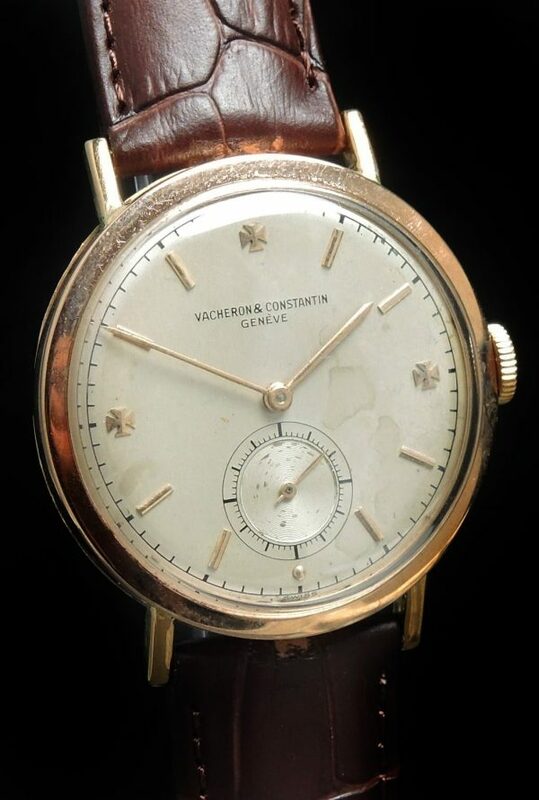 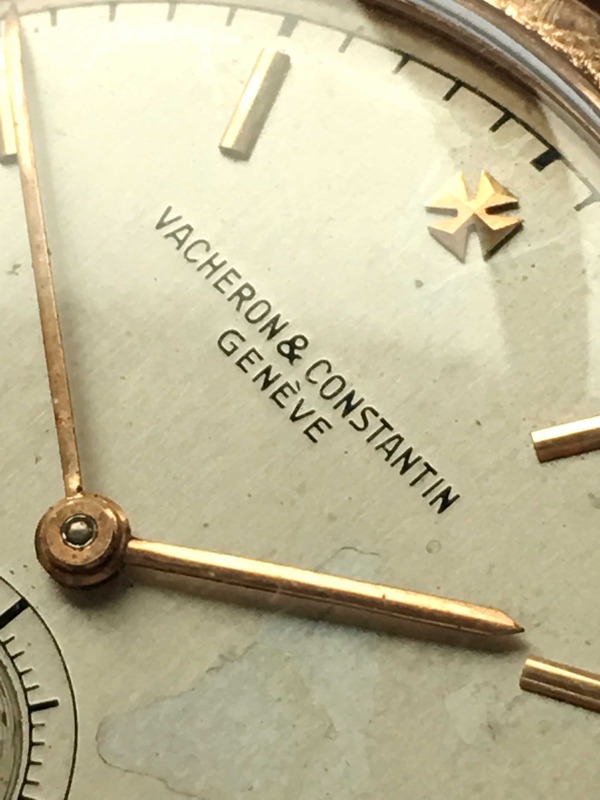 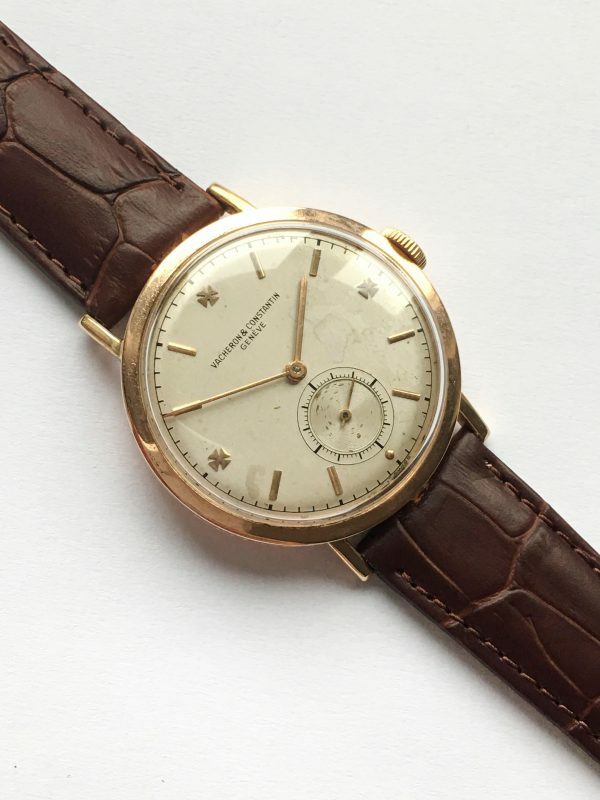 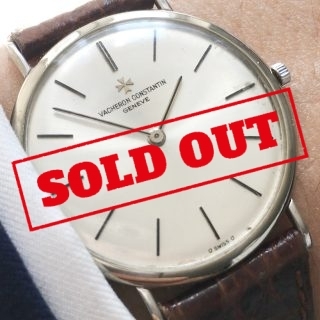 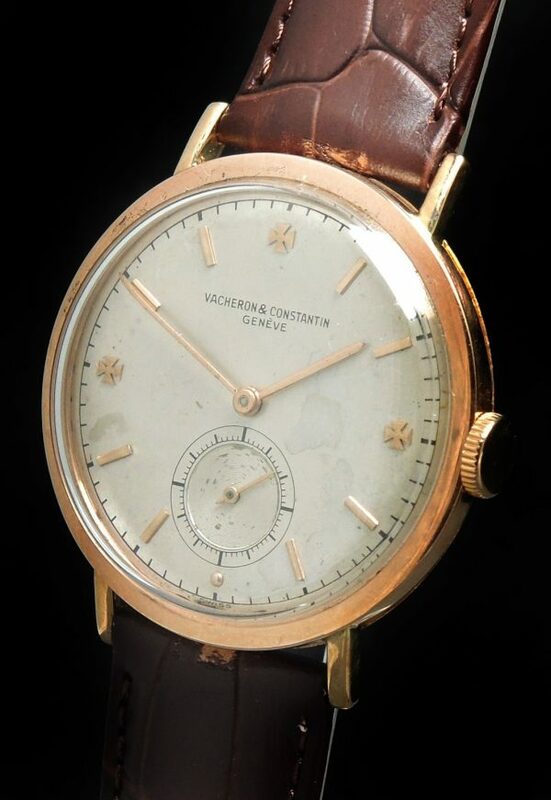 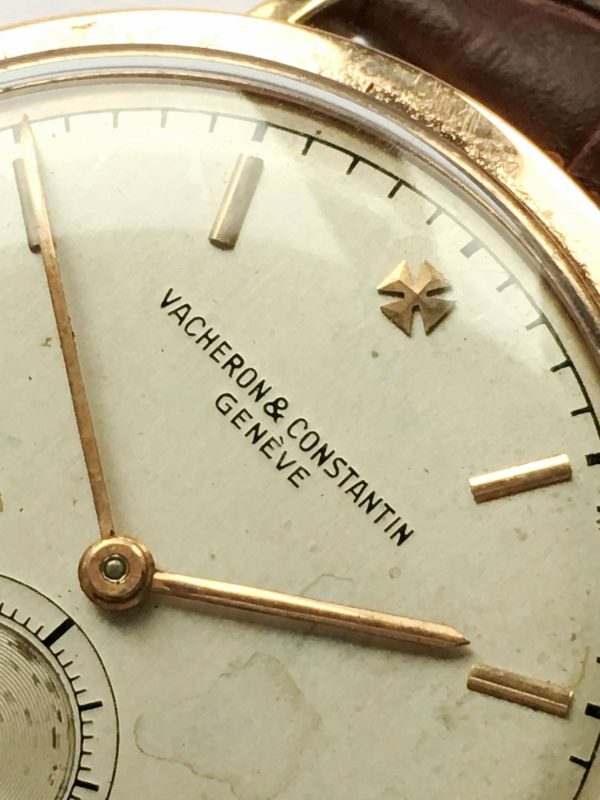 Great 36mm Vacheron Constantin Vintage in Calatrava Design. 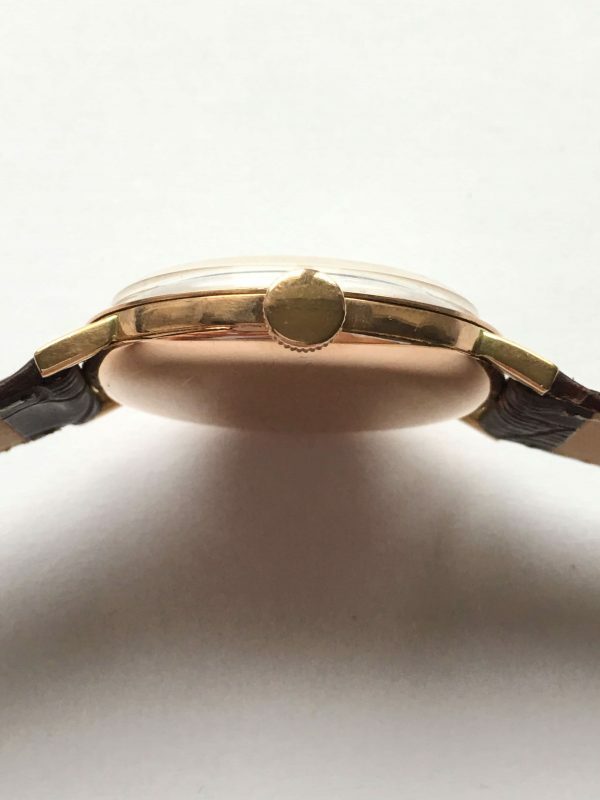 Solid Red//Pink Gold Case. Very desireable model. 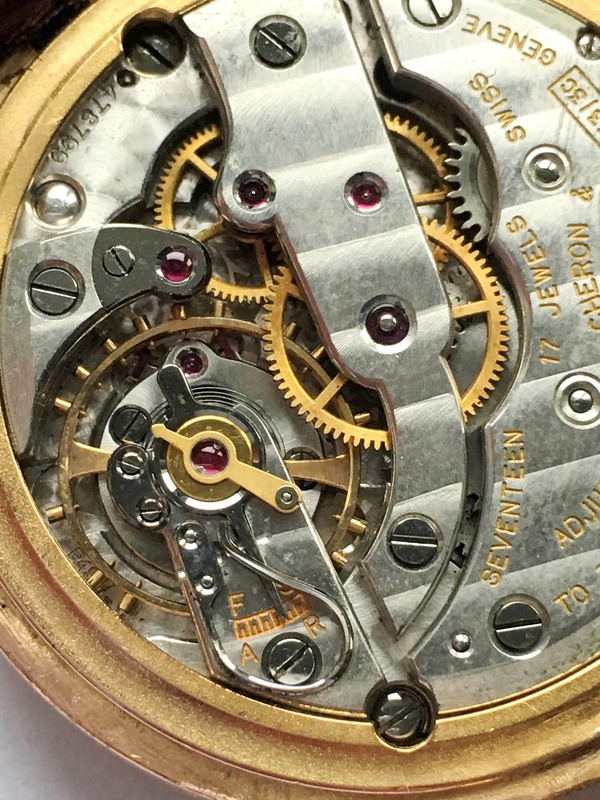 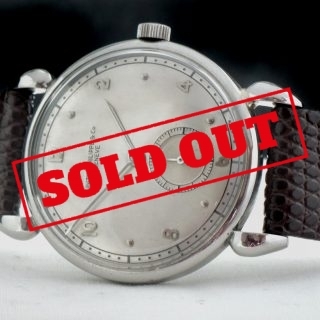 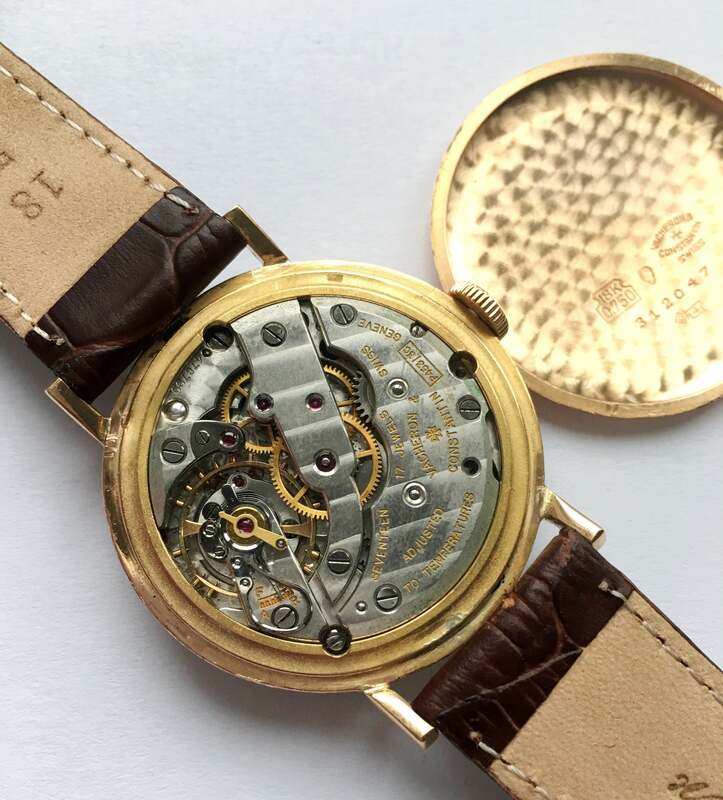 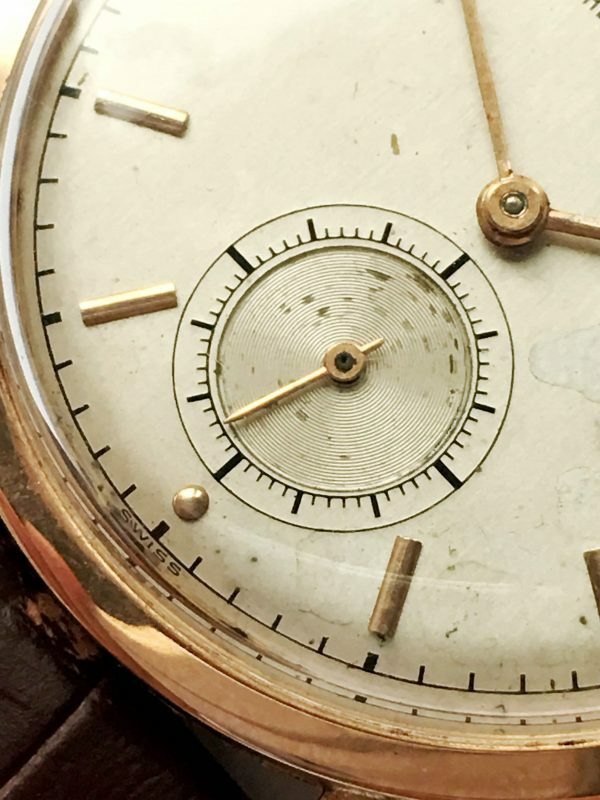 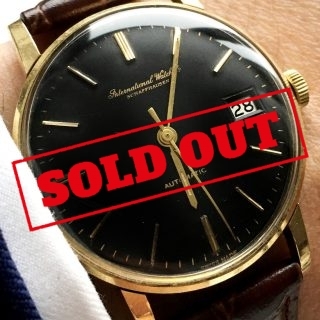 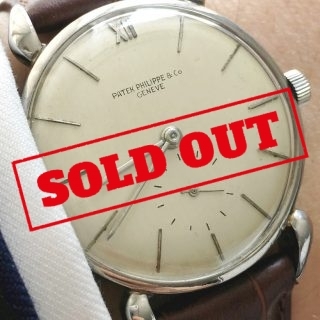 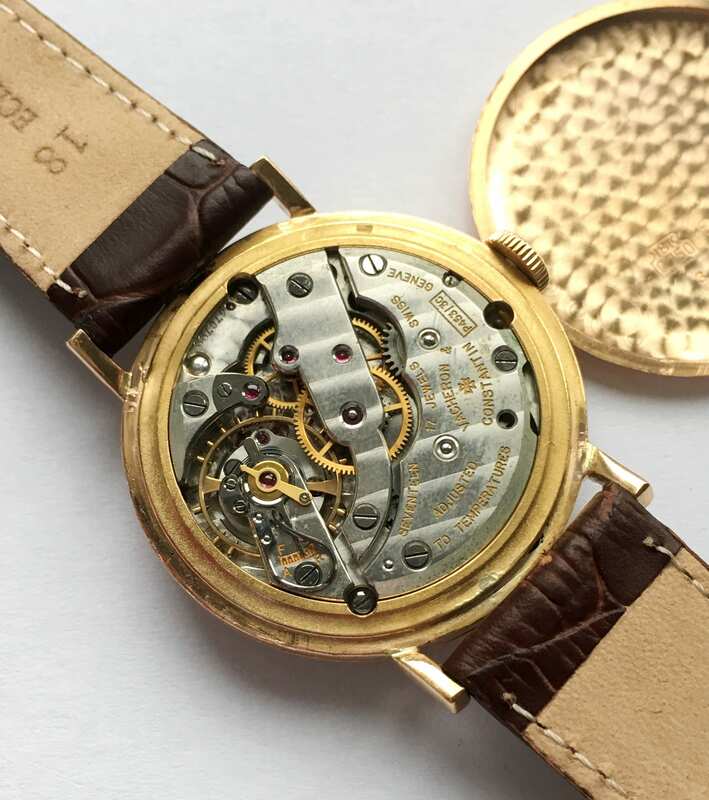 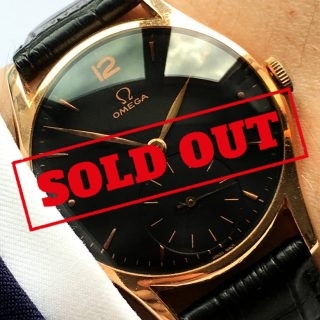 The dial has patina but we kept it unrestored as the collectors market demands that. 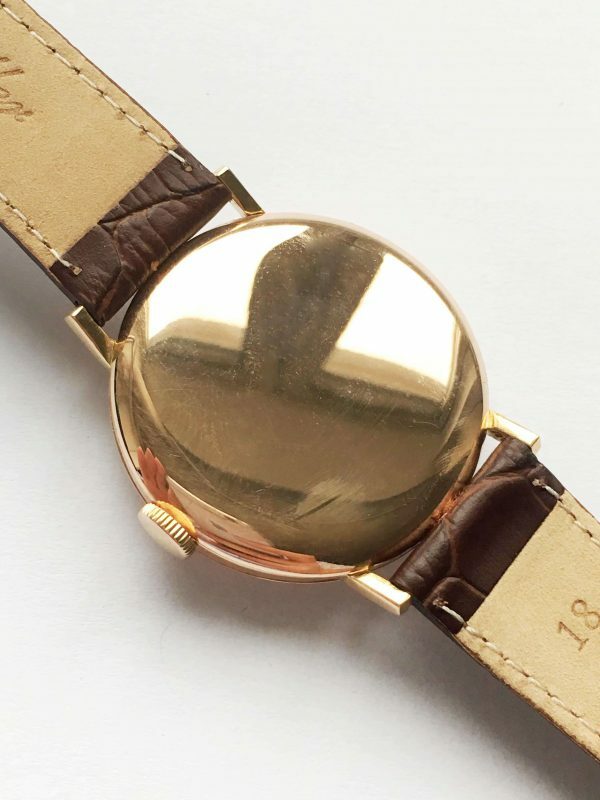 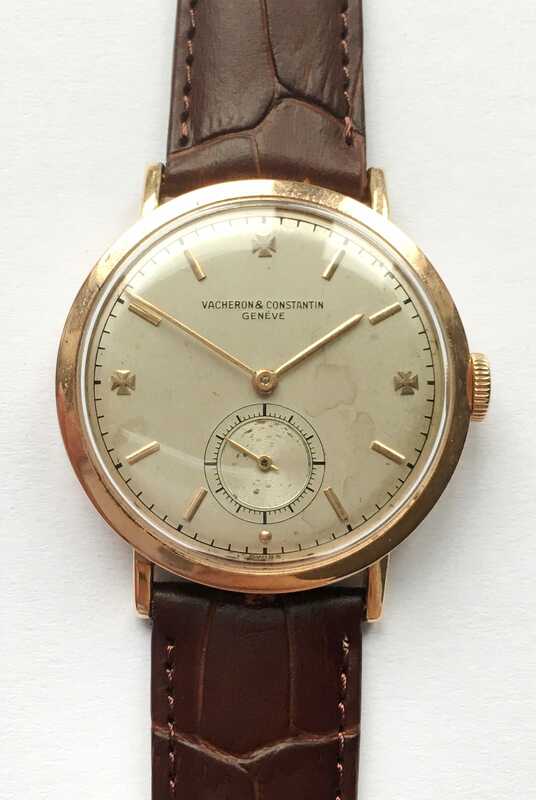 Tolle 36mm Vacheron Constantin in Rosegoldgehäuse. 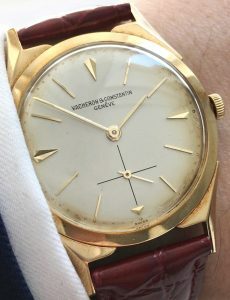 Calatrava Design. 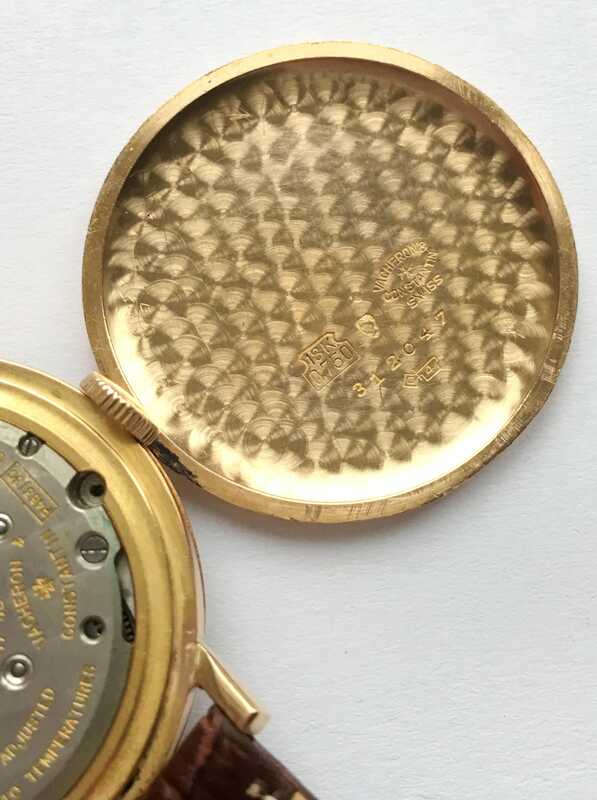 Das Ziffernblatt hat Patina, ist aber unrestauriert belassen weil es der Sammermarkt so wünscht.